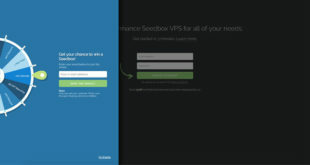 SeedBoxBay is a Seedbox provider that you’ll find in our best Seedbox comparison and ranking. With its awesome client support and its very good interface, it really managed to please us during our test and it truly deserve its very good place in our ranking. Yet, it doesn’t manage to catch our podium because of a few weaknesses in some of our criteria. Discover what we like and what we don’t really like about SeedBoxBay. Without any doubt, what we can really enjoy here, and you can see it in our SeedBoxBay review, is the very good quality of its client support. 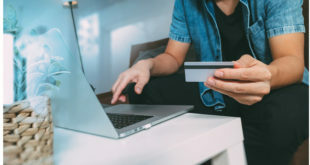 As a matter of act, in addition to their very good reactivity (24/7 within a few minutes only), they always bring high-quality answers and the team is really friendly. We don’t find this « friendly » thing with every provider so we thought it was important to notice it here. What is very pleasant with this provider is the client support which is not only reachable via ticket, but also on Skype. This will enable you to solve your problems very easily thanks to an audio call (for free). For the time being, this is the only Seedbox provider which offers such a solution for its client support and we really did enjoy it. 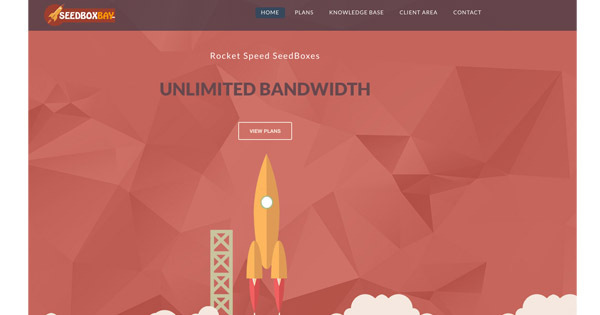 With absolutely no limit of bandwidth, its very good availability and its 1Gb/s connection speed, SeedBoxBay really pleased us with a very good interface and an efficient Seedbox. There is a little criticism that we can make as far as this is concerned. Unfortunately, you won’t be able to use Plex with this provider… This is a bit of a shame according to us but this is still very convincing. Despite this little weakness, SeedBoxBay is really worthy of interest and you connection will be perfectly protected and anonymized thanks to OpenVPN which is included on all the different solutions. As we said in the beginning of this article, SeedBoxBay does not manage to rank on our podium and can’t be the best seedbox…because of a few weaknesses. As a matter of fact, it has a very limited choice with only 3 solutions going from 100 to 450Go. In addition to this limited choice, we were disappointed to see that every person looking for a big disk space won’t find something that suits his need here. We could have accepted « only » 3 solutions if it had been like 300Go, 1.000Go and 3.000Go. That way, it would have answered everyone’s need. Finally, the second criticism we can make about SeedBoxBay is about its tarification. 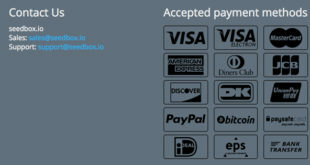 In fact, it is one of the most expensive provider we have tested and it is almost 3 times more expensive than Seedbox.fr, DediSeedBox or Seedbox.io, to name but three. You’ll have to pay 3 cents $ / Go / month if you go for the premium solution here. For a comparison, Seedbox.fr is less than 1 cent / Go / month if you go for the 3 To solution. Note that you’ll have 3 free months if you order for 1 year. If you want to convince yourself and try SeedBoxBay’s VPS, it is possible for 72 hours thanks to the money back guarantee policy. Previous What are the criteria to take into account when choosing a Seedbox ? Next Free Seedbox : Where ? How ? Which one ?